Not sure if this is the solution for you? Let us answer your questions about Vision OMR. Would you like to know who is using our software and what they have to say about us? Read our customer list and customer testimonials. Are you already using Vision OMR and want to learn more about it? Look into attending one of our training classes. The Vision OMR software allows you to create your own forms using any word processor or survey design package. Forms can be printed on a laser printer, photocopied, or sent out to your local printer. We are not involved in the creation of your forms… you have the flexibility to create and duplicate as many as you need. 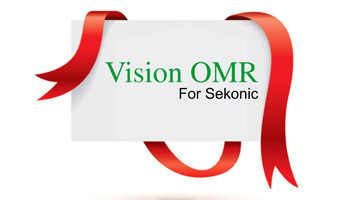 Click here to see some sample forms that can be used with Vision OMR.